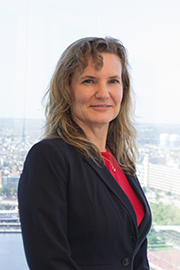 Offit Kurman principal employment attorney, Katherine Randolph Witherspoon, will speak on the Delaware Whistleblowers’ Protection Act at the Office and Trial Practice annual seminar sponsored by the Delaware State Bar Association and Delaware Bar Foundation. The presentation will be on October 13th at the Chase Center on the Riverfront in Wilmington, Delaware. Katherine is a frequent speaker on Delaware employment law topics and welcomes questions on the Act and other state and federal employment laws.